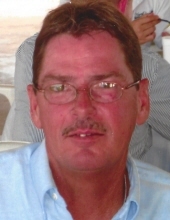 Richard Bernard Dickson, age 55 of Carrollton, Georgia passed away Wednesday, November 28, 2018. He was born in Carrollton, Georgia on March 29, 1963, the son of Nada Patricia Shope Dickson and the late Grady Allen Dickson. He worked for Zachry Corporation in the maintenance department and for Builder's Station. He was a member of Our Lady of Perpetual Help Catholic Church. Survivors include his son and daughter-in-law, Brandon and Katie Dickson of Sandersville, Georgia; grandchildren, Hunter and Lexi Dickson; mother, Mrs. Pat Dickson of Carrollton; sisters and brothers-in-law, Elizabeth and Terry Dyer of Loganville, Georgia, Beverly and Aubrey Williams of Heflin, Alabama; sisters-in-law, Pat Dickson of Acworth, Georgia, Melanie Dickson of Canton, Georgia and several nieces and nephews. He was preceded in death by his father, Grady Allen Dickson; brothers, Bobby, Bryan, Billy and Barry Dickson. The family will receive friends at Almon Funeral Home Sunday evening from 5 p.m. until 8 p.m. A rosary will be held at 7:30 p.m. with Deacon Gary Atkinson officiating. Funeral Mass will be Monday, December 3, 2018 at 11 a.m. at Our Lady of Perpetual Help Catholic Church with Father Mario Lopez officiating. Pallbearers will be family members. Honorary pallbearers will be close friends. Memorial donations may be made to OLPH Cemetery Fund, 210 Old Center Point Rd., Carrollton, Georgia 30117. "Email Address" would like to share the life celebration of Richard Bernard Dickson. Click on the "link" to go to share a favorite memory or leave a condolence message for the family.